Cooking shows are a popular television genre now – you have your ethnic cooking shows, your simple cooking shows, your baking shows, and extravagant I’ve-never-heard-of-that-ingredient shows. Certainly, there is a cooking show for just about everyone. They all seem to have one thing in common – everything is at the ready. Of course you can whip up that butternut squash, homemade noodle lasagna! Everything you needed was at your fingertips! All the little bowls filled with measured spices and herbs, bigger bowls filled with chopped veggies, sheet pans of meat that has been trimmed of fat, and cooking utensils specific to that recipe…that’s not a cooking show trick. It’s actually a common staple in professional kitchens – mise en place. It’s a French term meaning “to put in place.” It’s not professional magic reserved for cooking shows and restaurants – this is applicable and so helpful to use in your kitchen too! No need to go out and buy fancy glass containers to divvy up all of your ingredients. Mise en place is more of a mindset than precise rules or tools. Having everything “at the ready” will simplify meal prep. It ensures that you have all the ingredients, have enough time to make the meal, and can cut down on the “hurricane” effect in the kitchen. Maybe it’s just in my kitchen; I honestly try to keep my mess at bay. But, inevitably, I become Hurricane Tiff when making a meal and my wide swath of destruction spans the entire kitchen. This article is as much for my benefit as it is for yours! Mise en place is more of a mindset than precise rules or tools. Wash, peel, chop, slice, dice. Prepare your ingredients before you start cooking. This way, everything is ready and you’re not scrambling to cut the potatoes as the onions are now burning rather than sautéing. Measure and group. Measure your spices and herbs and put them in one container if they enter the recipe at the same time. Bonus Tip: Keep a few sets of measuring utensils on hand. This helps you save time and effort in the kitchen because you are not washing the one and only tablespoon between measures of oil, chili powder, baking soda, etc. Use what you have. If you do not have fancy cooking show ingredient dishes, you can use kids’ cups, storage containers, dessert ramekins or whatever you have on hand. 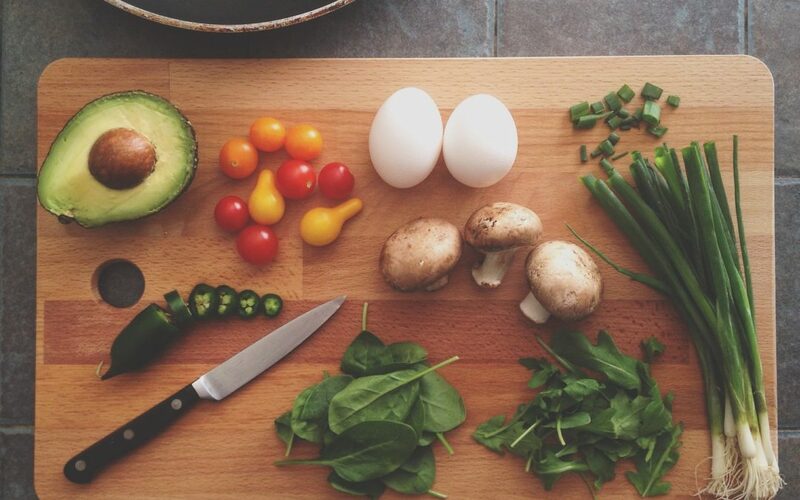 The purpose of mise en place is not to transform you meal prep into cooking-show-worthy material, but to nudge your habits into a more organized and beneficial workspace. My last tip focuses on that mindset, “to put in place.” ENJOY THE MEAL PREP as much as you can. For many of us mamas, this chore falls in our wheel house. If that’s the case, we have the opportunity to make ~4,000 dinners for a good chunk of our child-rearing years (calculated at 5 meals/week/50 weeks/year/18 years. An optimistic calculation hoping for leftover nights and vacations!). We may as well put on some good tunes and mise en place a good attitude. The job isn’t going away, so we might as well enjoy it!